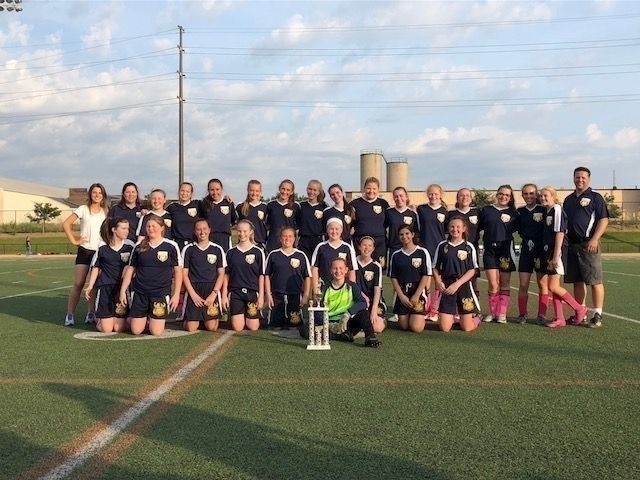 St. Jude Girls Varsity Soccer team battled the Crusader's of St. Luke's Thursday, June 7 in Erie Catholic's first Varsity Soccer Tournament. The Raiders, who were the number three seed in the tournament went on to defeat St. Luke's, the number one seed in a narrow 1-0 victory Thursday night. Ella Raimondi scored the only goal for the Raiders with an assist from Marissa Schnars. The Raiders were coached by Head Coach Erik Morphy and Assistant Coaches Debbie and Elizabeth Kuhn.